Baader Planetarium's Deluxe Clamping Eyepiece Holder # T2-32 / 2458196 is an excellent after-market, heavy-duty replacement photo-visual back for telescopes with M60 or M68 threads. Its optical length has been deliberately kept as low as possible for photo/imaging applications. With an anti-marring compression ring and three large thumbscrews, your camera and accessories will be firmly and precisely held by this 2" adapter. Also includes one 2" plastic dust plug. Can be used as a photo-visual back for Zeiss (M68) and Vixen (M60) telescopes. 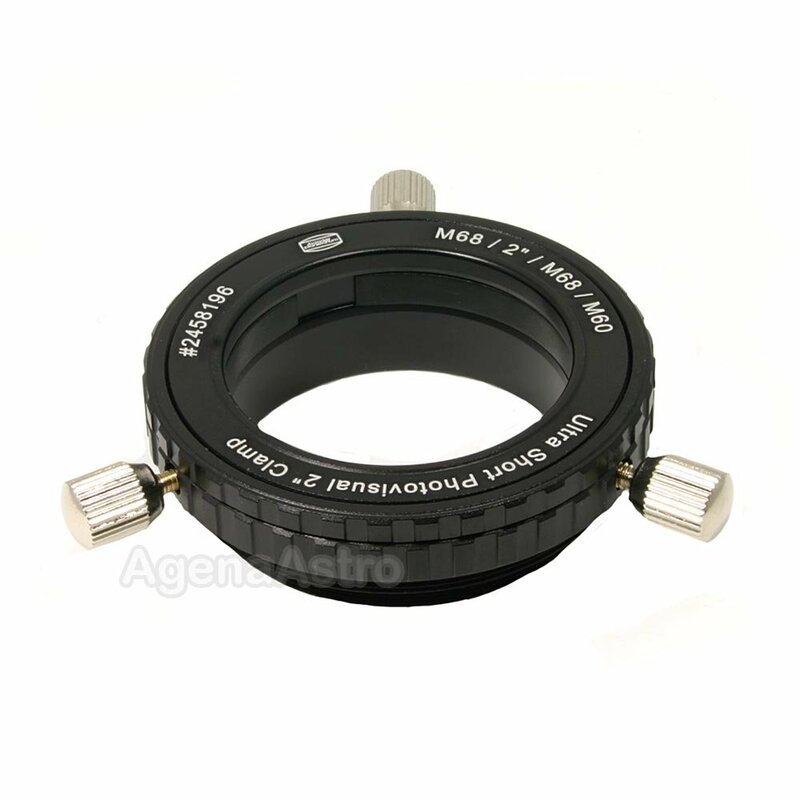 Also features an M68 male thread on the eyepiece side which can be used for eyepiece projection or attachment of other M68 adapters/accessories.